There was a time when air conditioners were considered to be luxury items and were only used by the rich people. However, these days ACs has become an indispensible part of our life. There are many companies these days which manufacture quality air conditioners meant for both domestic and commercial usage. When it comes to domestic usage of the air conditioners, there are certain important aspects that need to be taken into consideration. Over the years, the domestic usages of the air conditioners have largely increased. Since the price of the ACs has come down has made it easier for people from different sections of the society to buy. When it comes to the installation of the window AC, the process is simpler. Some feel it is all about fixing the device and making an electrical connection. However, the process of installing split air conditioners are quite complicated because various aspects need to be taken care of. Installing the Compressor Unit: The first thing which needs to be done is to install the compressor unit. The compressor unit is installed outside your residential area. Once this unit is installed, the job is half done and you can proceed to the other vital connections. However, you need to make sure that it is installed in a position which can be accessed easily in future during the course of any repairing work. It is also very important to make sure that the compressor unit has a shed on top of it so that it can be protected from the water or dust entering into it. Install the AC: Once the compressor unit is installed, it is time to install the interior unit or the AC. There has to be enough provision on the wall in order to make sure that the unit can be properly fixed. Besides, it is essential to make arrangements for electric connectivity beforehand. While installing the interior unit, you need to make sure that proper arrangements have been made to establish a connection with the compressor unit which is installed on the exterior. 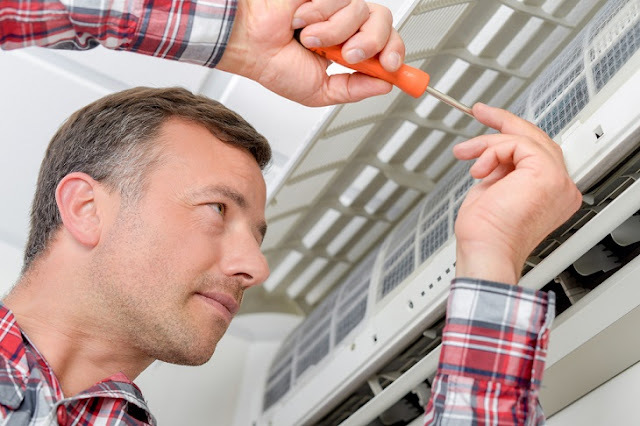 Make the Connection: Once the compressor and the AC have been installed, it is now time to establish connectivity between the two. Physical connectivity is created with the help of cables and wires. The length of the cable depends on the distance between the interior and the exterior unit. These are the three main steps for you to install the Split ACs. The rest of the things are to be taken care of by the electricians who would establish the connectivity with the wall socket and test the line. 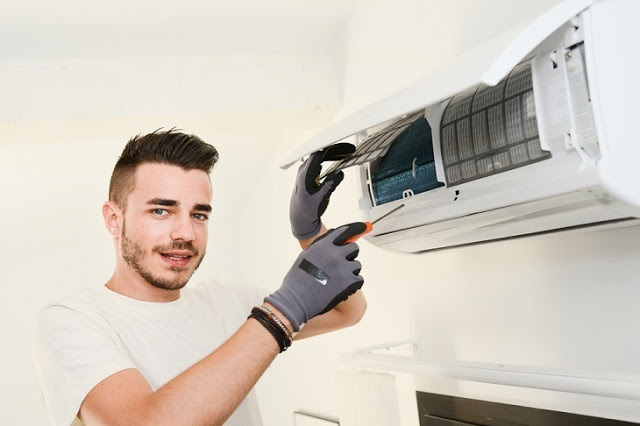 When it comes to residential air conditioning installations, it is always a smart thing to get in touch with the professionals who have the skills, expertise and the right tools to make sure that the job is done in an efficient and professional manner. They would make sure that the system is working properly and everything is in the right place. If you are planning to get air conditioning installation done in your property it will be best if you can get the professionals to visit your place and evaluate it. Once your place is evaluated by a professional he can give you proper suggestion regarding the place and the kind of connection needed.